I don't know about you but I think it's really easy to take for granted a place that you've always known. I've grown up in West Sussex on the South Coast. 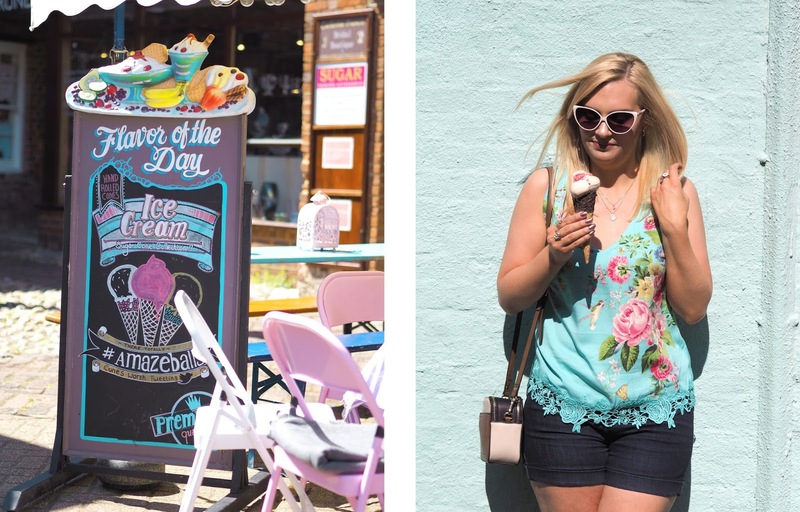 From a very early age the Arundel has always been one of my favourite local towns to visit for a stroll around the town or lake, to meet friends for lunch or afternoon tea and since becoming a blogger I've found it the perfect place for outfit shoots! It's such a picturesque place you can't help but want to take photos. Not long ago actually I posted a picture of myself in Arundel with a caption saying where I was and someone commented saying "Omg it makes me so happy to know there is actually a place called Arundel because it sounds like it's from Frozen" - although theirs is of course spelt Arendelle. To be honest Arundel does feel like it's straight out of a Disney film! With its cobbled streets, old buildings & quaint charm plus it even has a castle, Arundel Castle, which to me looks like it belongs in a fairytale (either that or Hogwarts!). There have actually been quite a few film scenes shot in Arundel and at the castle including The Young Victoria and Wonder Woman. 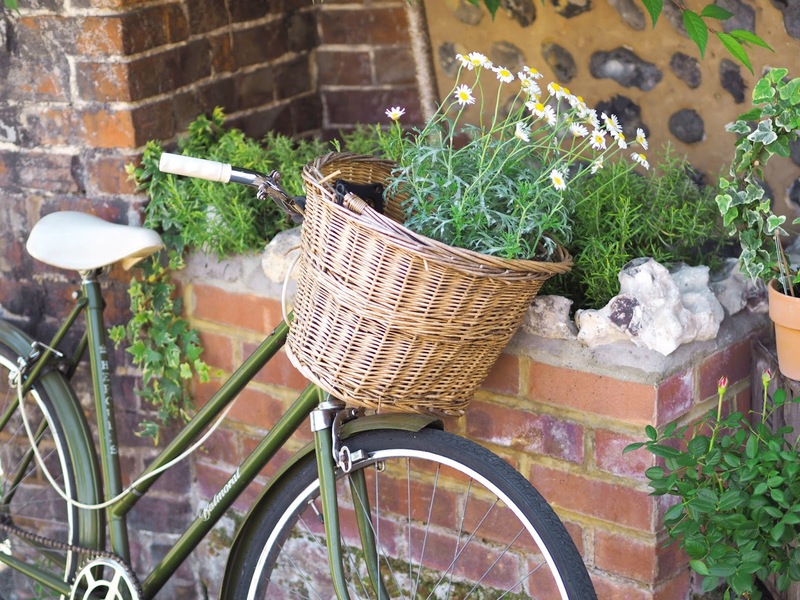 The scenery of Arundel really lends itself to photography and filming. I've given you a quick run down of what's happening each day at the festival as well as my daily highlights of events you should definitely aim to get to! Remember there are lots more events & activities going on that I haven't listed so check out the full listings and details here. 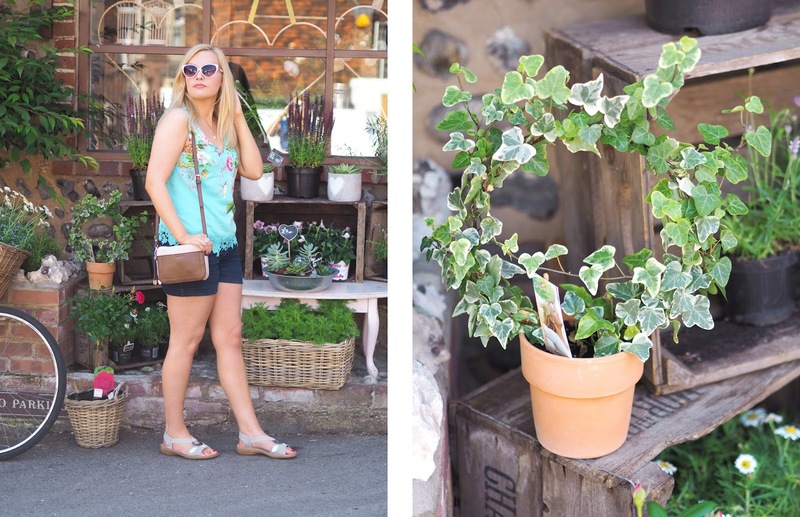 - Arundel Treasure Hunt | A fun challenge for all the family! Follow the clues around Arundel, takes about 1-2 hours and costs £7.00, visit this website for more info. - Official Festival Face Painting & Henna Tattoos | Available throughout the Festival. 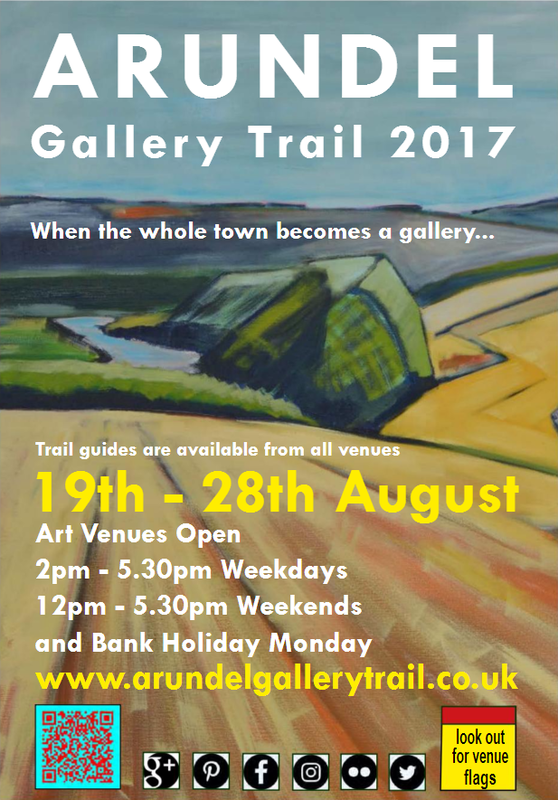 - Gallery Trail | Follow the yellow flags all around Arundel to discover established and emerging artists, visit this website for more info. 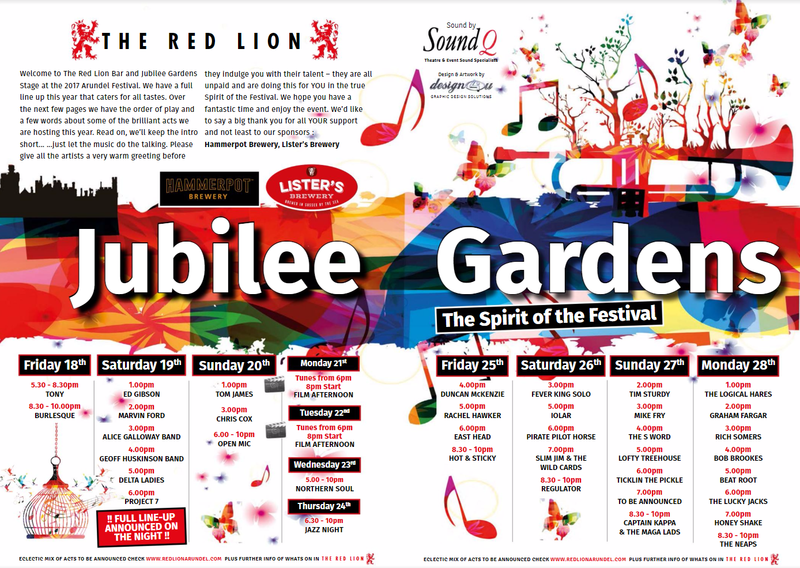 - Live Music & Entertainment | Every afternoon & evening you'll find an eclectic mix of live music and performance in Jubilee Gardens. - Tarrant Square Marquee | On at both the weekends & bank holiday. Town and Country Fairs present a selection of independent stalls selling a wonderful range of food, clothing and gifts. - Arundel Museum Walks | Discover Arundel’s fascinating history with our friendly, informed guides. 90 minute walk. - Chindi Authors Bookstall | Selling great new books in a range of genres for all ages, is outside the Cancer Research shop in the High Street. All books sold during the Festival will help to raise funds for Cancer Research. - Drip Action Theatre Trail | Eight short plays throughout the day in eight different venues. Saturday 19th | Opening Ceremony (1.45pm-2.40pm) includes a celebration samba procession, arabesque dance troupe & raising of the flag by the Duchess of Norfolk and the Mayor. Sunday 20th | LOCA Free Painting Event - The LOCA Artists will be on hand with three different ‘Why I love Arundel’ posters inviting visitors to paint them and take them away with them. There will also be the LOCA chalk drawing experience and a Selfie Booth. Arundel’s Got Talent Auditions - 8-16 year olds perform a song or instrumental piece to win the exciting opportunity to record and mix any song in a professional recording studio! Monday 21st | Arundel Wine Society Vineyard Tour - Sussex Vineyard Tour by Minibus. Visit to 4 prestigious Sussex vineyards including lunch and ‘tea’ at 2 of them and tastings at all (needs to be pre-booked and costs extra). Arundel In The South Downs Trail - 60 minute walk to The George at Burpham. Tuesday 22nd | National Open Art Exhibition - With the Duke of Norfolk as President, the NOA pop-up art exhibition shows a selection of contemporary work from artists and photographers from across the UK and Ireland. Arundel Baptist Church Fun Day - A day of fun and activities for children. Arundel Wine Society Restaurant Trail - Four course meal with glass of wine (including bubbly) paired with each course, in 4 different secret venues in central Arundel (needs to be pre-booked and costs extra). Wednesday 23rd | Words And Music In Private Houses - Gardens and Landscape in the Novels of Jane Austen. Professor Timothy Mowl discusses early nineteenth century gardens and compares these with contemporary garden fashions. Arundel Wine Society Tasting Event - The Diversity of Wines from the Dordogne – Mini Workshop. Illustrated talk and interactive tasting of 6 unusual wines from different parts of the interesting Dordogne Valley wine region (needs to be pre-booked and costs extra). 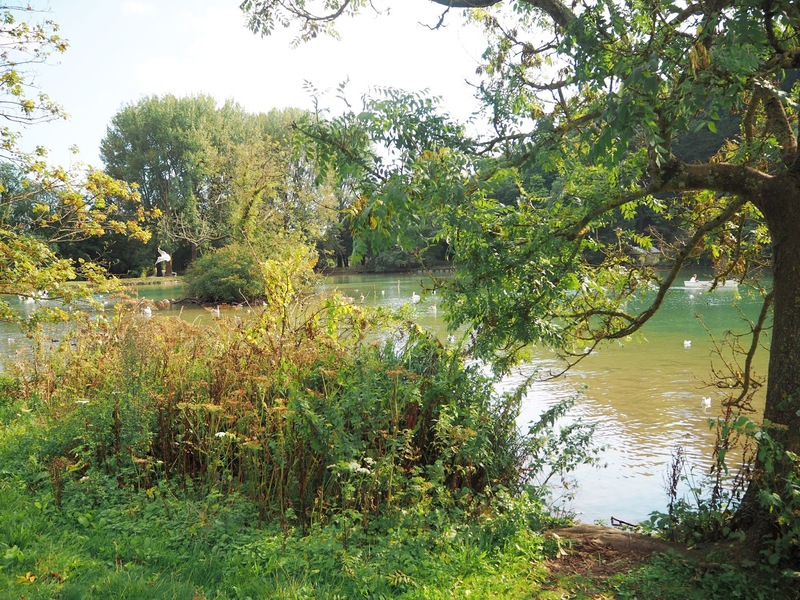 Thursday 24th | Teddy Bears Picnic At Arundel Lido - Bring along your cuddly friend to enjoy an afternoon of storytelling and fun and games with face painting. Laughter For Wellness & Wellbeing - Not comedy, this is laughter exercises for enjoyment and wellbeing. ABBA On The Hill - ABBA tribute band performing on the hill outside the Kings Arms Pub. An outside bar and food available. 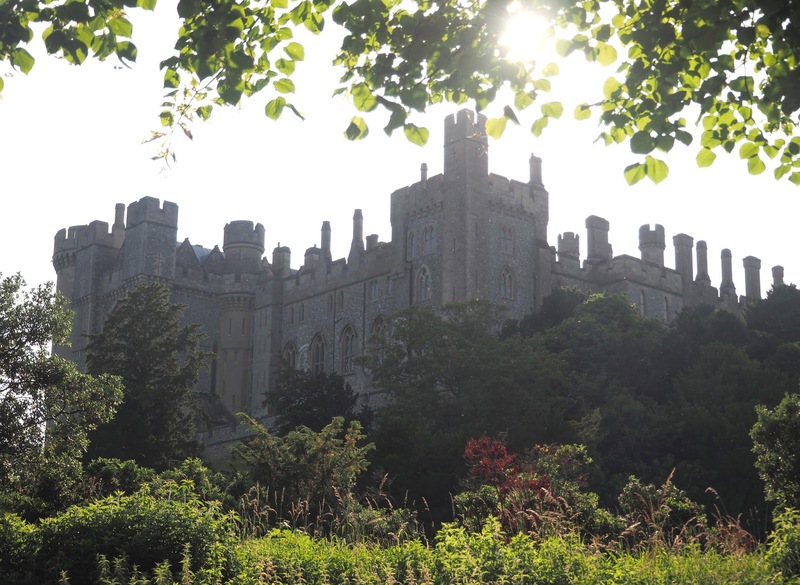 Friday 25th | Shakespeare At Arundel Castle - A Midsummer Night’s Dream performed by the GB Theatre Company in the Earl’s Garden of Arundel Castle (7.30pm). Grounds open for picnics plus a hog roast and drinks available for purchase. Comedy Night At The Jailhouse - Six stand-up comedians plus a compére perform (8pm). Saturday 26th | Dragon Boat Race (more info here) - 20 Dragon Boats racing 250m on the Arun, five major prizes including 'Best Dressed Crew' and 'Largest Fundraisers' as well as an Overall Winner (10am-4pm). Shakespeare At Arundel Castle - Another chance to see A Midsummer Night’s Dream performed by the GB Theatre Company in the Earl’s Garden of Arundel Castle (7.30pm). Arundel's Got Talent Final - Finals of the ‘Arundel’s Got Talent’ auditions where 8-16 year olds perform a song or instrumental piece to win the exciting opportunity to record and mix any song in a professional recording studio – to be held on the Town Square cobbles. Sunday 27th | Family Fun At Arundel Lido (more info here) - Family Fun Inflatable Session with ‘Sid the Sub’. On Display - All day a wagon, response vehicles and vintage yellow fire engine are displaying. Lancing Brass Of The Royal British Legion - 18-strong Brass Band playing a collection of pieces in Arundel Town Square. Bank Holiday Monday 28th | Vintage Bank Holiday Monday - a Vintage Funfair, Market & Parade with a competition for the Best Vintage Outfit! Annual Duck Race - an unmissable part of the Festival. Over 2000 sponsored ducks take to the River Arun in a ferocious battle to cross the line first (3.35pm). Ghosts, Murder & Mysteries Walk - exploring the darker side of Arundel’s history with local historian Mark Phillips (7.30pm). A 15 minute Firework Display to close the Festival (9.15pm). You can check out the Brochure here and event listings here for more details & times of what is going on each day of the Festival as well as a map of Arundel so you can see where everything is taking place. 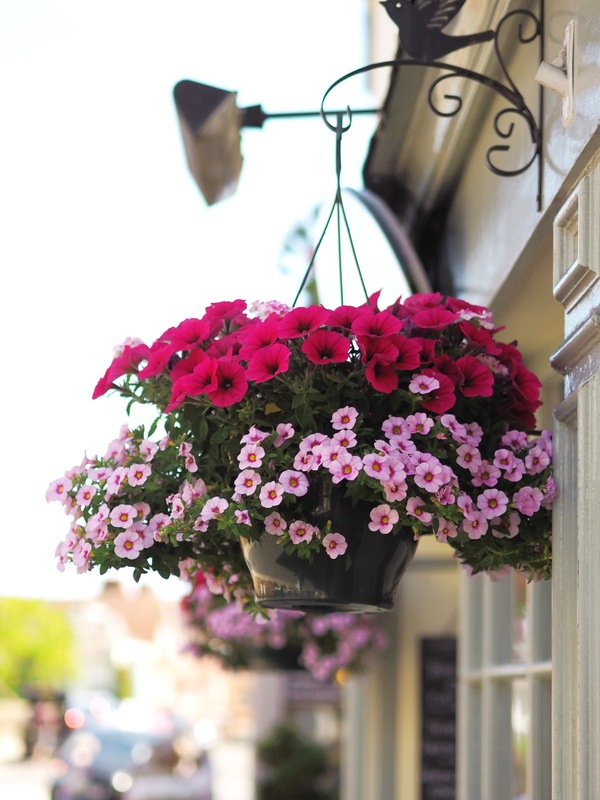 Arundel Festival runs from the 19th - 28th of August. For updates be sure to follow them on their Facebook page! 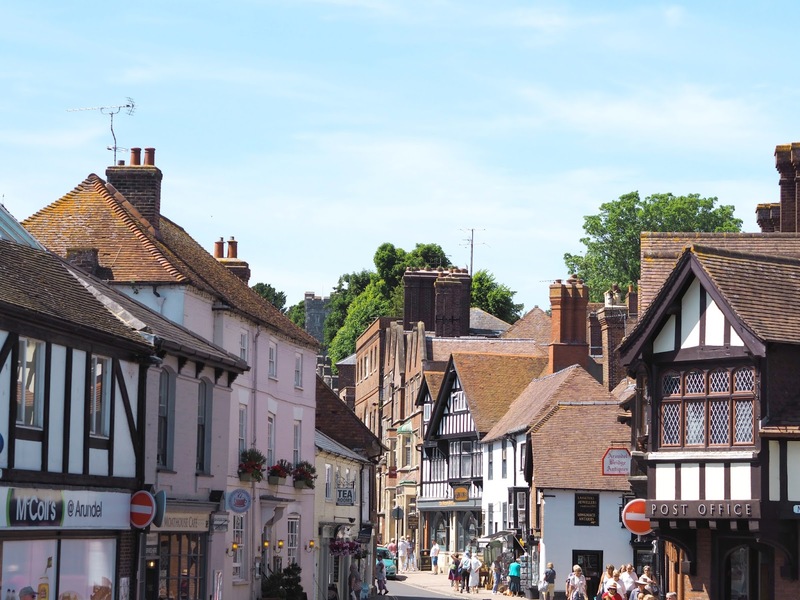 As well as all the fun activities the festival brings be sure to check out the things that Arundel has to offer year round when you visit. 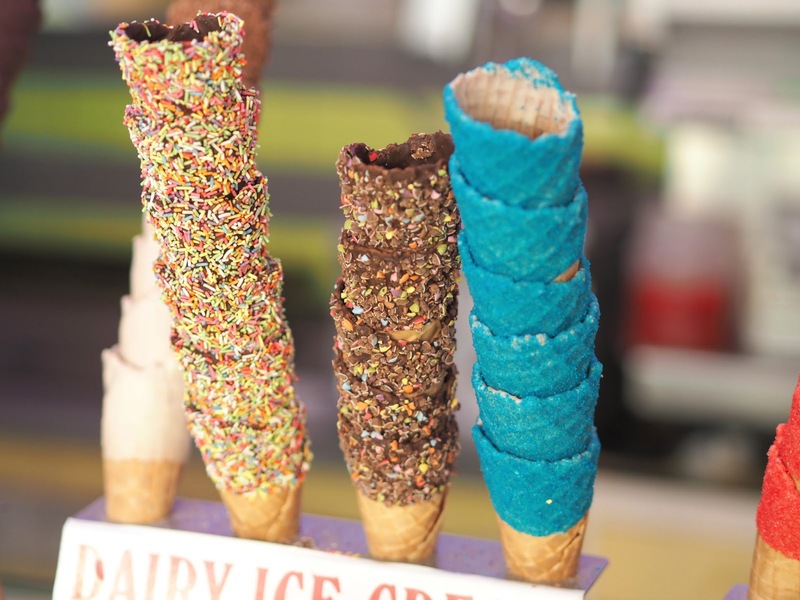 I'll give you some of my picks: The Ice Cream & Candy Parlour is the place where childhood dreams are realised! It only opened a couple of years ago but I reckon I've already managed to eat my body weight in Ice Cream there. They offer the most wonderful array of ice creams and will whip you up any kind of Sundae you can imagine. My choices would be the Unicorn or Oreo Sundaes! 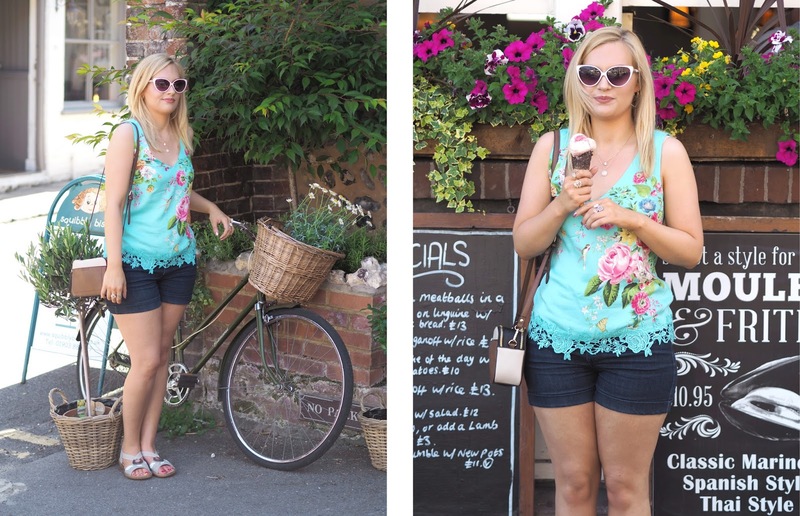 Brightly coloured with a retro theme and super friendly & enthusiastic staff you can't miss it. Swanbourne Lake is a lovely spot that I've been coming to ever since I was a child. Enjoy a nice stroll taking in the scenery or bring a picnic. 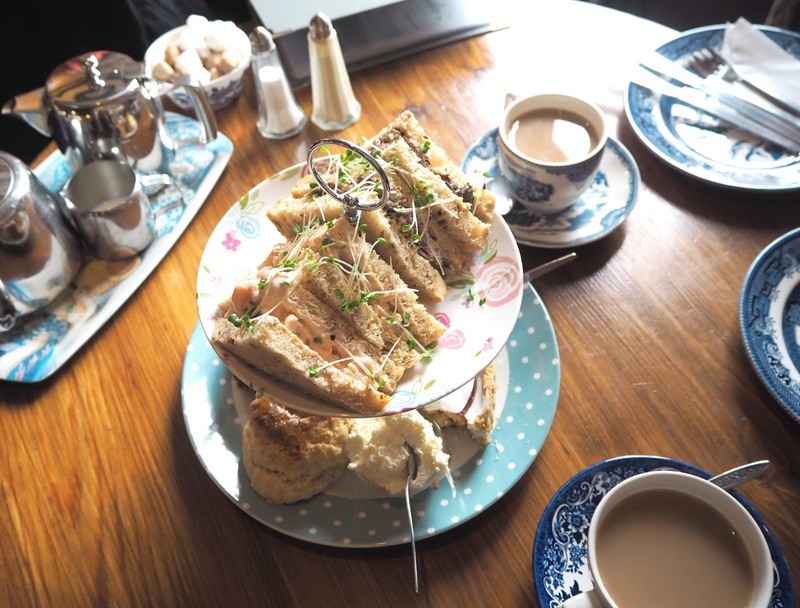 Belinda's Tea Room is opposite the ice cream parlour and much loved amongst the locals. In my opinion they do the best cakes and afternoon teas at a great price. If you're a blogger & unicorn fan (aren't we all?) don't forget to stop by Unicorn Cottage for that all important Instagram shot! All of the following pictures are my own. 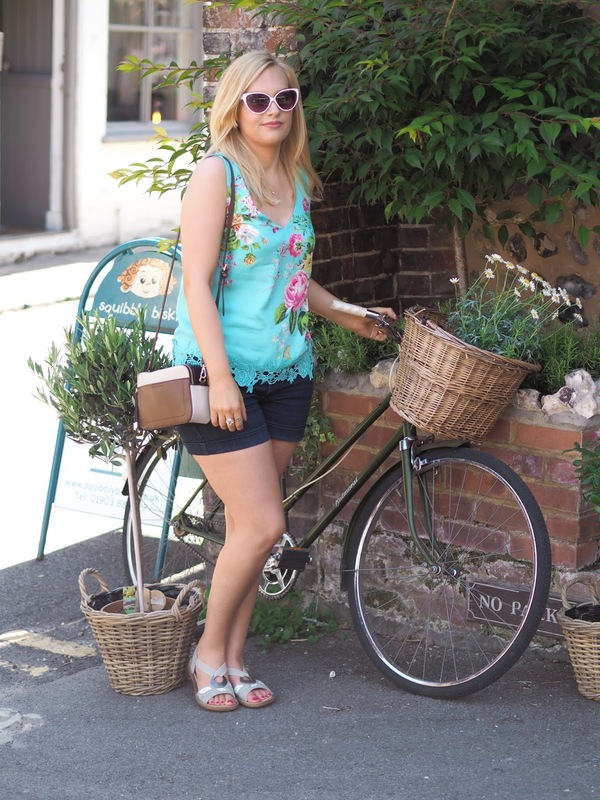 Outfit Details: Vest Top* (also available here) | Denim Shorts | Camera Bag | Necklace | Ring | Sandals. 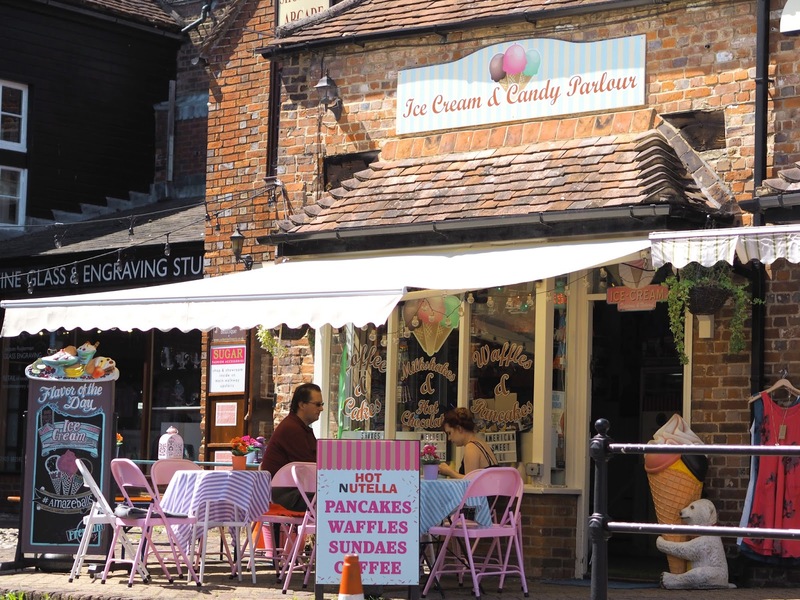 The fantastic Ice Cream & Candy Parlour - don't you just go there right now?! A spot of Afternoon Tea at Belinda's. 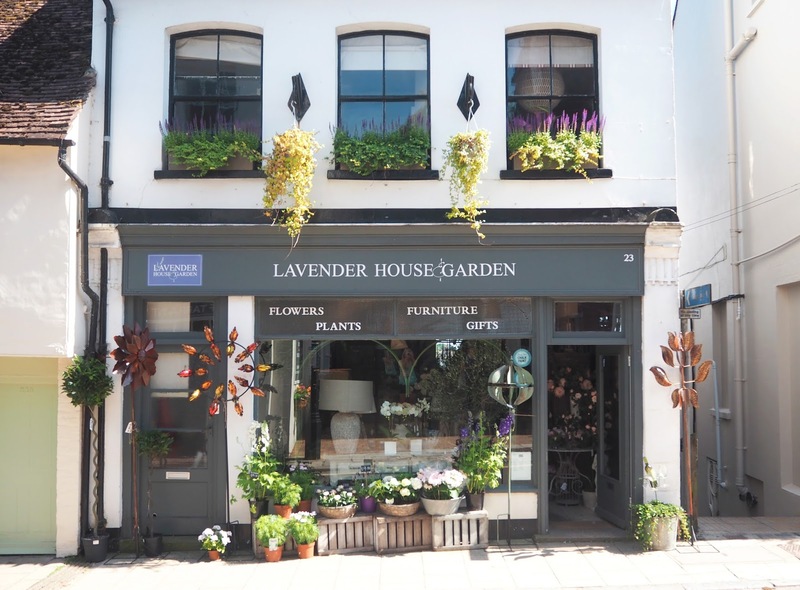 Lavender House Garden is one of the most picturesque of shops. 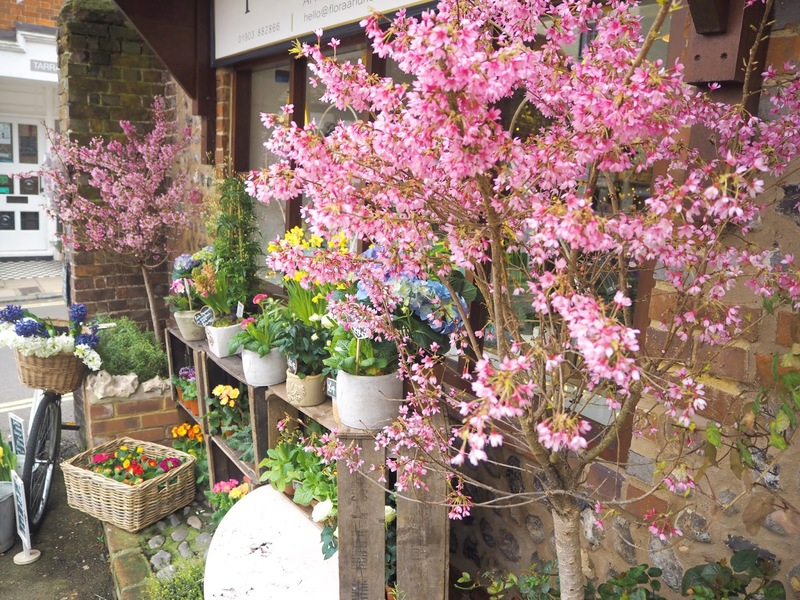 Flora & Nora is a florist situated right next to the Ice Cream Parlour and have the most gorgeous displays of flowers. The beautiful scenery at Swanbourne Lake. 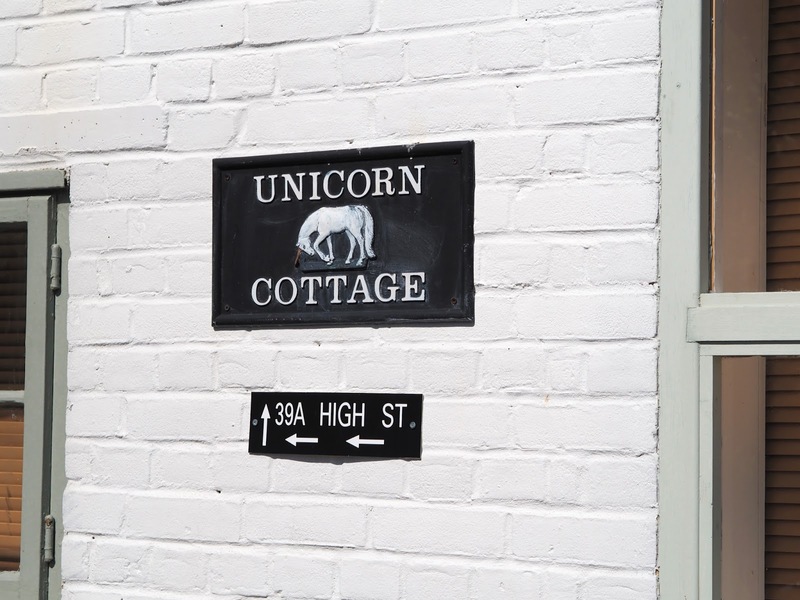 I so want to live in a place called Unicorn Cottage! 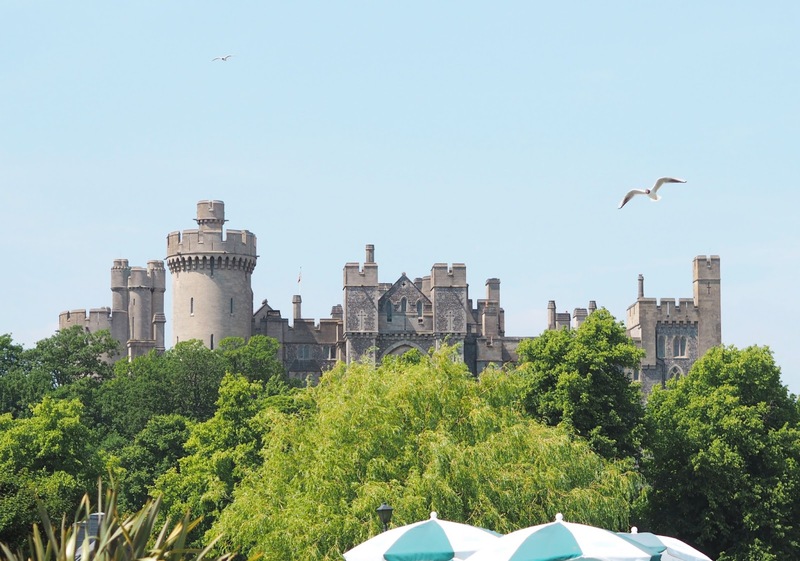 Arundel Castle as viewed from Arundel Lido. It looks totally majestic! Arundel Festival runs from the 19th - 28th of August. Please come along and check it out if you can, maybe I'll see you there! 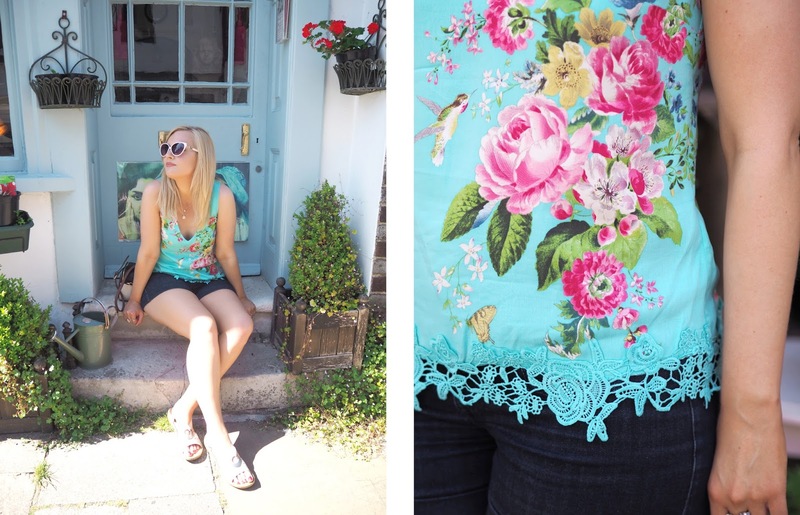 Have you visited Arundel before? Let me know if you plan on attending the festival!